Designed in fresh contemporary style, all 75 rooms and suites come with a private balcony or terrace so you can relax with a view of the ocean and our stunning palm fringed beach. 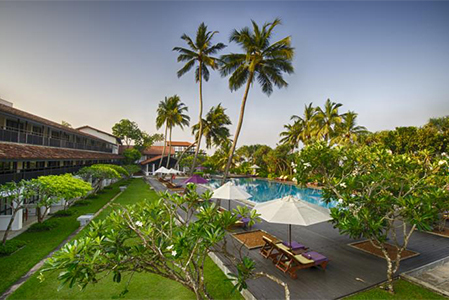 Created with total relaxation in mind, essential modern comforts include air conditioning, a safe, tea and coffee making facilities, a mini bar, IPTV and DVD player, free WiFi, a bathroom with a rain shower and designer Spa Ceylon amenities. If you’re looking for more room and indulgence, Deluxe Rooms and Suites offer extra living spaces, upgraded amenities like an espresso machine, plus a bath or Jacuzzi. 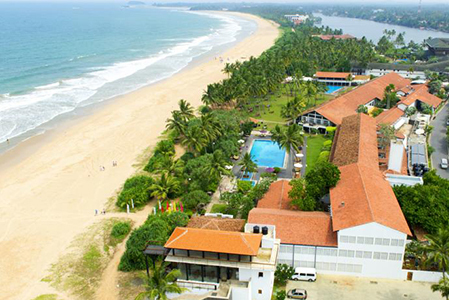 Palm fringed white sands and Indian Ocean waves offer refreshing views while you sit outside on your balcony. 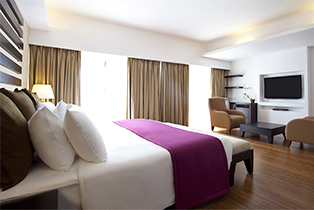 Designed with a great stay in mind, Standard Rooms feel comfy and inviting, whether you fancy an afternoon siesta, a mini bar treat with a movie or a long, deep sleep. Wake up well rested, hop under the rain shower and get ready for another day in paradise. 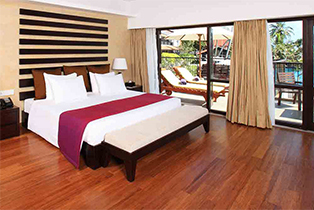 With a bit more space, a great beach view and plenty of comforts to enjoy, Superior Rooms provide an ideal blend. Rise and shine, make a tea or coffee and take a peek of blue ocean, white sands and lush palms. 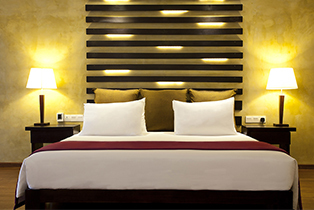 At night this view feels deliciously indulgent as you chill out with a tipple from the mini bar. Watch TV, catch up with the world online and hideaway for a snooze at any time – we’ve got everything covered to make you feel at ease. 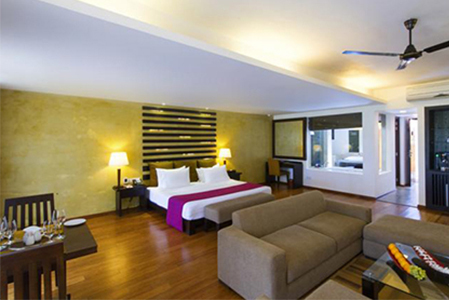 Bedroom, lounge and outdoor spaces come with tempting extras in our Deluxe Rooms. Boost your energy with a morning espresso to kick start the day, or read a good book with an ocean view while you relax on your balcony or terrace. Later on, cosy into stylish lounge furnishings for movie time or just quiet time. Evenings feel easy with a long, lazy soak in the tub, before getting ready in the dressing area for a night of island dining. Spaces to sunbathe, lounge, dine, refresh and sleep make Suite life an indulgent pleasure, beginning with delicious treats when you walk in. Perk up with a coffee first thing in the morning. 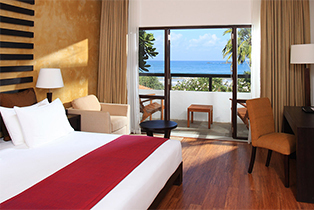 Top up your tan on comfy balcony loungers, overlooking golden beach and Indian Ocean waves. After a great day out, soothe tired muscles in the Jacuzzi, snuggle into the sofa to chat over your adventures, and if you feel like dining in, room service is only a call away. Sunbathe on your private ocean facing sundeck with a view of our gorgeous beach. 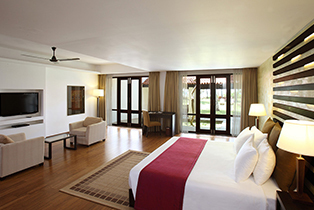 Inside, the AVANI Suite is designed with contemporary flair, polished wooden flooring and a host of creature comforts. While away blissful hours in total privacy, from soothing time alone in the Jacuzzi to sharing quality time in the lounge. Sip, snack and dine to your heart’s content, with mini bar temptations and an espresso machine, plus the ease of calling room service for a delicious meal at our dining table.